Irkutsk has been a centre of scientific thought in East Siberia throughout its history. The origin of the Siberian science refers to the XVIII century and it was connected with the study of the Siberian territory. In 1764 a native of Finland, M.V.Lomonosov’s apprentice, Eric Laxman – a talented mineralogist, chemist, botanic left for Siberia to study it. He was engaged in naturalistic researches in the Nerchinsk mountain district, then lived not far from Irkutsk and frequently visited the city. The opening of the Glauber’s salt used for glass manufacture belongs to E. Laxman. He founded the Taltzy glass factory. Laxman discovered some reserves of minerals in Pribaikalye, then on the Lena and Vilyui rivers. He collected valuable botanical and mineralogist collections. In Irkutsk the post of the director bank assignation office was taken by a graduate of Moscow and Uspala (Sweden) universities and a scientific naturalist А.М.Karamyshev for some time. Being engaged in a study of Siberian nature and, in general, natural sciences, Karamyshev was a member - correspondent of an Academy of Sciences, member of Free - economic society and member - correspondent of the Swedish academy. In Irkutsk a geographer А.I.Losev studied and worked. His results of the Eastern Siberian study were published in 1812-1818: "The Angara thresholds", "About the sea Baikal", "Agriculture in the Irkutsk region" and etc. The important event for the development of the Siberian science became the opening of Irkutsk Siberian (later Eastern-Siberian) department of the Russian geographical society in 1851 (ESRGS) - first scientific establishment in Eastern Siberia. The Siberian administration tried to transform it into the branch of general - governor office the on "scientific part ", but the participation in work of a community of advanced intelligentsia and political exiled resulted that this office began to lose state trusteeship. One of the first ESRGS chiefs was a director of Irkutsk grammar school S.S.Schukin. During his 50 years he studied the Siberian nature, collected rich grass collection, constantly conducted meteorological supervision. S.S.Schukin published the tables of the meteorological supervision and a number of works on study of Eastern Siberian nature. He was considered to be one of the deep connoisseurs of Siberian fauna, flora, mineralogy and zoology. There were different sections - mathematical geography, physical geography and statistics in the scientific society. In addition there were researches on history, archeology, linguistics, agriculture and other branches of knowledge. 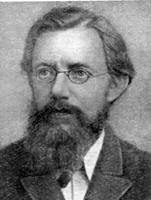 The large contribution to the Siberian history and ethnography study was done by a known Russian historian, ethnographer, publicist A.P.Schapov, exiled in Irkutsk in 1864. Being in Irkutsk, Schapov studied the Eastern Siberian history, economy and life of the population, worked in the ESRGS, participated in scientific expedition to study the Turukhansk territory. Schapov had valuable works about the Siberian history and ethnography: "The Siberian society up to Speranskii", "Historical-geographical and ethnographic notes about the Siberian population", "The Buryat nomadic territory-patrimonial community" and etc. A.P. 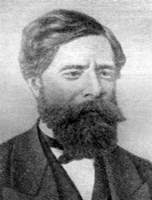 Schapov died in 1876 in Irkutsk. The monument on the funds of the ESRGS was put on his tomb. There was an inscription "From the motherland to the writer" there. In the 1860s an important meaning in the work of the Department became study of the Eastern Siberian depths. Chekanovskii and Cherskii started these studies. In Irkutsk the school of the Eastern Siberian geologists was gradually opened. The well-known scientists I.A.Lopatin, P.A.Kropotkin, V.A.Obruchev and others joined this school. In the 1870-80s new workers from the political exiled and representatives of the Siberian intelligentsia joined the ESRGS. The department expanded its scientific researches, organized new expeditions with the purpose to study the Minusinsk territory agriculture, the Vitim gold-bearing of the areas, the Olkhon island, separate areas of the Yenisei River. Especially focus was made on the study of Buryatiya. A.P.Schapov, D.A.Klemenz, A.V. and G.N.Potanins worked in the area of Buryat studies. The members of the ESRGS were the researchers: Dorji Banzarov, M.Hangalov, G.Gomboev, P.Batorov and others. In the first scientific Eastern Siberian establishment there were famous scientists brought up- a zoologist I.S.Polyakov, geologist I.D.Cherskii, archeologist N.I Vitimskii. The work of the ESRGS contributed to the study of geography, nature and natural resources, history, economy and life of the population of Eastern Siberia. Besides ESRGS, in the 1920s the research work was done by Irkutsk the state university, opened in 1918, and the Geological committee and meteorological observatory. At the university there were first research institutes: biological-geographical and anatomical. The first director of the biological-geographical Research Institute at Irkutsk State University was a professor М.М.Kozhov, heading it for 30 years. The origin of the academic science in Irkutsk was connected with the Baikal study. 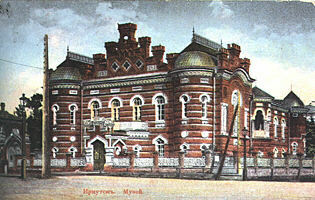 In 1919г. the Baikal biological station of the Academy of Science of the USSR, later transferred to the Irkutsk university, was organized in a village Bolshie Koty. In 1928 the Baikal Limnological station was opened in Listvenichnaya village. On its basis in 1961 the Limnological institute of the Siberian Department of the USSR Academy of Science was opened. The complex scientific expeditions were organized, headed by such outstanding scientists, as F.Y.Livinson-Lessing, А.А.Grigoryev, V.N.Sukachyov, А.Е.Fersman, who studied natural resources of the Siberian territory. In 1949 in Irkutsk the Eastern-Siberian branch of the Academy of Sciences USSR was founded. Later in 1957 after the opening of the Siberian branch of the USSR Academy Sciences this branch was included in this structure. 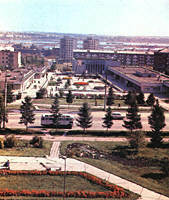 In 1988 the branch and the Irkutsk association of scientific institutes received a status of Irkutsk scientific centre (ISC) of Siberian Department of the USSR Academy of Science. Now the ISC structure includes 9 research institutes of the Siberian Department, the Baikal museum, Irkutsk branch of Institute of laser physics of Russian Academy of Science, designers-institute of technology of electrical ray technologies of the Russian Academy, department of the regional economic and social problems at the Presidium of the ISC of the SD RAS. The center has the advanced research base, which provides complex study of problems within the framework of sciences about the Earth, and also realization of versatile fundamental and applied researches in the field of electrical power, calculus mathematics, solar-terrestrial physics, geochemistry, geography, chemistry, physiology and biochemistry of plants and branches of knowledge. The oldest academic institute of Irkutsk is the earth’s crust institute, organized in 1949 under a name Institute of Geology. In its different years it was headed by the member –correspondents of the Academy of Science of the USSR N.A.Florenzov, М.М.Odinzov, academician N.A.Logachyov. The institute is a leading scientific establishment of the country on the problems of continental reef genesis. The scientists developed a complex geological-geophysical model of the Baikal reef zone development and its adjacent territories, showing a deep structure of East Siberia and Mongolia. The Institute is a recognized center on problems of neotectonics, geomorphology and seismology. 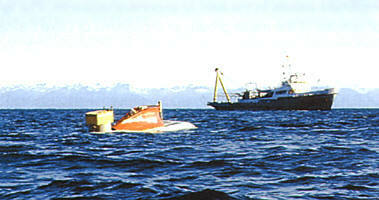 The International active tectonic study centre and natural disasters works at the Institute. 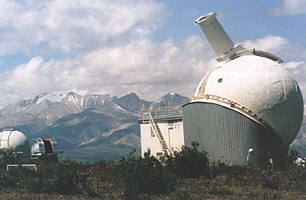 In 1960 on the basis of magnet-meteorological observatory, founded in 1886, the institute of solar-terrestrial physics of the SD of the RAS was opened. The Institute researches nature and dynamics of solar magnetic fields, the solar flares and other formations on the Sun. The network of observations, created by institute in Irkutsk area, Buryatiya and Krasnoyarsk territory, allows to carry out complex researches of physical processes and phenomena in the system Sun - Earth. In 1961 the Baikal Limnological the station was reorganized into the Limnological institute of the SD of RAS; its first director was an academician G.I.Galazii. Now the Institute is main organization of the Russian academy of sciences on the lake Baikal problems. The scientists of the Institute research ecosystem condition of Baikal in the present and past, evolution of the endemic fauna and flora of the lake in a context of geological events and others. In 1990 on the basis of the Institute the Baikal international centre of ecological researches was created. On the basis of the Baikal exposition of the Institute in 1993 the unique Baikal museum was opened. In 1987 in Irkutsk the Eastern-Siberian branch of the Siberian branch of Russian Academy of Medical Science was opened to solve complex regional problems and coordinate all researches, connected with preservation and strengthening of the Siberian population health. Now the branch unites about 10 research institutes, among them are the Research Institutes of traumatology and orthopedics, Research anti-plaque Institute of Siberia and Far East, epidemiology Institute. The contribution to the development of science in Siberia, made by scientific Universities, is significant. A valuable place among scientific establishments of the city is taken by the Research Institute (RI) of the applied physics and the RI of biology at Irkutsk State university. Now the RI of biology headed by the professor O.M.Kozhova - successor of a scientific dynasty of the Kozhovs, carries out researches on the lake Baikal study and in the field of experimental and applied microbiology. The large scientific achievements of the Research Institute of applied physics in the field of elementary particles, neutron astrophysics have the large influence on development of separate sections of physics.